From simple applications such as hard to reach windows to more advanced whole home or office automation solutions involving digital controls, we specialize in custom tailoring solutions to fit your every need. 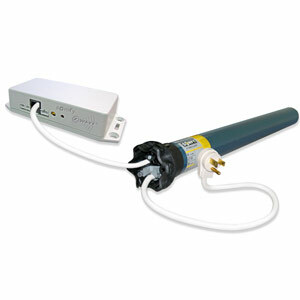 Crown utilizes OXG Wireless, GP Wired & Somfy brand components. 12v DC Lithium Battery - No more noise, no more size limitations and no more wasted batteries! 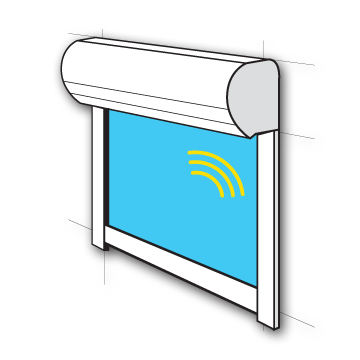 Now it is possible to purchase completely wireless & quiet roller shades up to 144"x144"! Our OXG motors feature hidden internal lithium batteries that are recharged via solar panels or the occasional need for a plug-in charger. 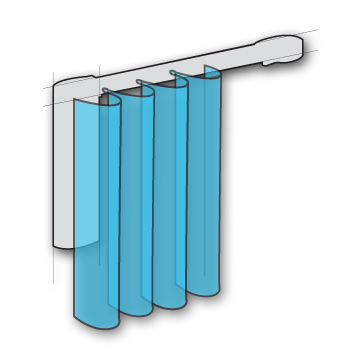 For a typical 96"x96" roller shade that is raised and lowered once a day the batteries can last up to 8 months without needing a recharge by either a solar panel or a plug-in charger. For non-tinted windows that receive a moderate to high level of sun light the solar panel is ideal. The sun will constantly trickle charge your shade. For windows that are either tinted or do not receive very much sun light opt for the plug in charger. Fully recharge your shade within 4-6 hours and your good to go. 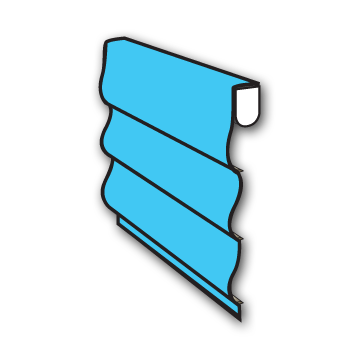 Roller Shades - Up to 144"x144"
Skylight Shades - Up to 108"x84"
Roman Shades - Up to 96"x96"
Vienna Sheer Shadings - Up to 120"x120"
Woven Wood Shades - Up to 96"x96"
24v DC - Smaller to medium sized shades benefit from this compact low noise motor. Wiring is of a small gauge and requires either a plug-in transformer or a din rail power transformer for large quantities. Skylight Shades - Up to 108"x108"
Roman Shades - Up to 120"x120"
Vienna Sheer Shadings - Up to 108"x108"
Woven Wood Shades - Up to 120"x120"
110v AC - Ideal for medium to super sized shades and features a near silent drive. Larger cabling is typically ran to junction boxes and requires an electrician. Roller Shades - Up to 240"x264"
Exterior Shades - Up to 240"x264"
Skylight Shades - Up to 196"x236"
Roman Shades - Up to 144"x144"
Woven Wood Shades - Up to 144"x144"
DCT/STD - Dry contact or standard controls are hardwired toggle, rocker, push button or keyed wall switches wired directly to the motor or group controller. 110v AC and 24v DC motors only. ILT - Is a means of 2 way communication from the controls and the motor. This digital system is great for controlling shades with AV devices, mobile devices & PCs. Modular cable from the motor heads are ran to interfaces that work with modems or third party AV systems. Each motor has an address and is then programmed via PC software. 110v AC and 24v DC motors only.